Simple: Python is very simple to learn and enables you to focus on the solution of the issue rather than the syntax. Free and Open Source: You can easily distribute software copies, read the source code, modify it and you know you can do these things. Easy to Learn: As it is known, Python is very simple and easy to work with. It has an extremely simple syntax as already mentioned. High-level Language: When you code Python programs, you never have issues regarding low-level details like managing the memory used by your program. 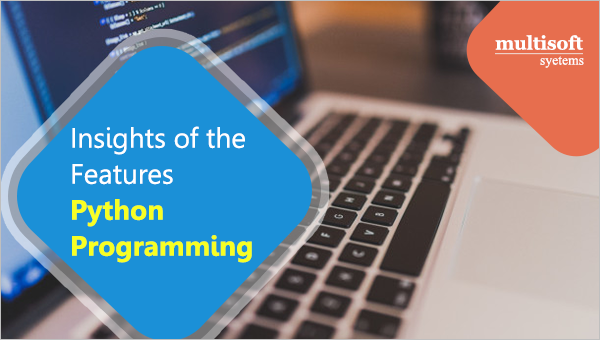 Object Oriented: Python supports object oriented programming and has very powerful way of doing object-oriented programming, mainly when compared to languages like C++ or Java. Portable: Owing to its open-source features, Python runs on various platforms. All your programs will work on any of these platforms without requiring any changes. Extensible: If you want a crucial part of code to run fast, you can do this by writing that part of code in C and then combine that with your Python program. Embeddable: You can embed Python within your C/C++ program to give scripting abilities for your program’s users. Python Training in Noida has been crafted as per the modern industry trends and considering the latest python course in mind based on the professional requirement of the learner. Moreover, it also helps them to get placement in Multinational companies and achieve their career goals.